This cake is enough on it’s own, so moist and delicious with the buttermilk and applesauce – with a little chocolate butter cream icing on top, but if you are feeling fancy, go ahead and dress it up! 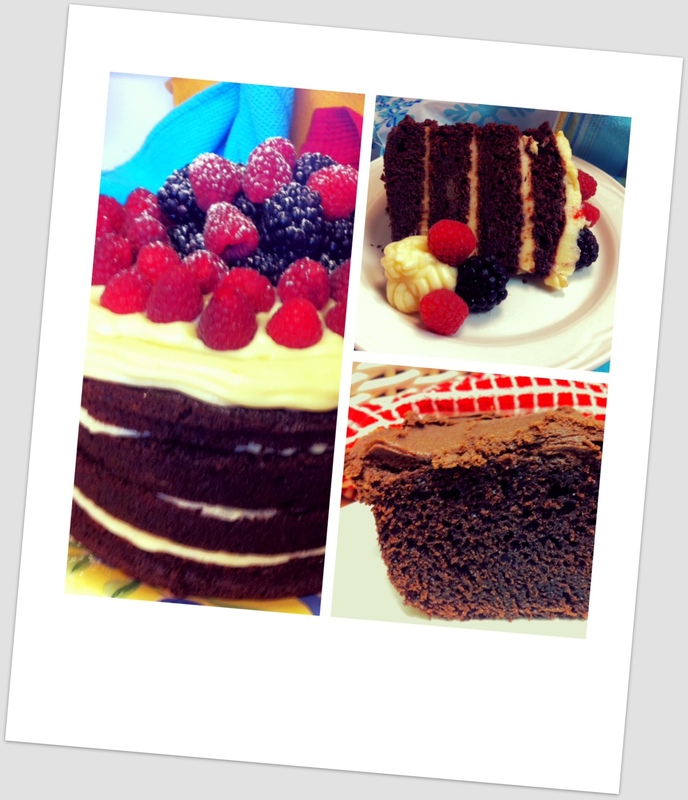 I have photos of this cake a couple of ways – always a hit! Gently stir dry ingredients into wet, do not overmix. When combined, pour into prepared (greased and floured) baking dish – 9 x 13 baking pan, or 2 layer cake rounds. Bake at 350 for 35 minutes – check to make sure it is well set before removing from oven. I was really fortunate to get this recipe from Gayle – our office works closely with hers, and as a treat, she dropped off this cake to us one day … we were all hooked! This entry was posted in Baking, Dessert, Recipes and tagged applesauce, baking, birthday cake. layer cake, butter cream icing, buttermilk, chocolate cake, dessert by Chatty Kathy. Bookmark the permalink.